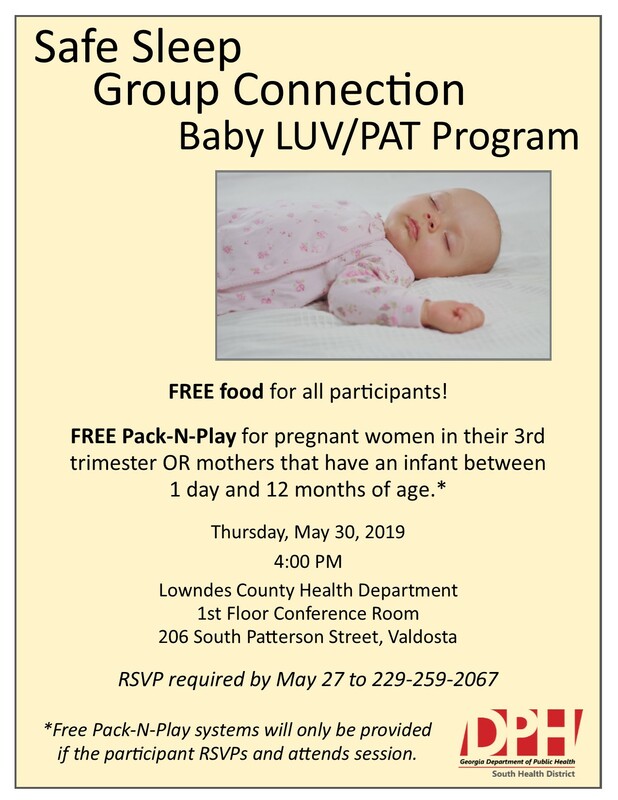 The Baby LUV/Pat Program is hosting a Safe Sleep Group Connection on May 30, 2019. 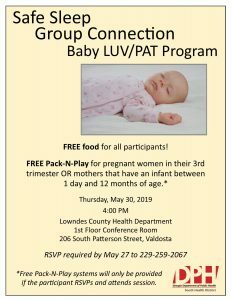 Pregnant women in their third trimester or mothers with an infant between one day and 12 months will receive a FREE Pack-n-Play. Only open to the first 30 people to RSVP.